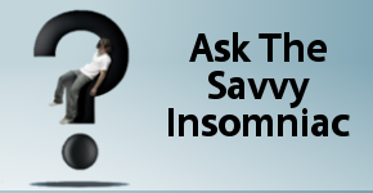 People usually think of insomnia as a problem of the night, but it’s more than that. When you have insomnia, you pay for it during the day. Every task becomes a chore, and learning new things can be a struggle. New research from sleep investigator Sean P.A. Drummond, associate professor in the psychiatry department at the University of California, San Diego, suggests why insomnia affects us this way. Drummond and colleague Matthew Walker conducted a brain imaging study just published in the journal Sleep and found that the insomniac brain has to work harder than normal to process information in working memory. This the first imaging study to show that working memory—short-term memory associated with immediate conscious perceptual and linguistic processing—is compromised in insomniacs. And pictures don’t lie. There were 50 subjects in all. Half were good sleepers; the other half, insomniacs. The test consisted of sitting in front of a screen and being shown a series letters one at a time. Subjects had to decide if the letter currently displayed was the same as the one presented 0, 1, 2, or 3 letters back. Their brains were scanned during the test to record activity levels in various parts of the brain. 1) As the task got harder, the images showed that good sleepers tapped into more resources within the working memory network of the brain. Insomniacs were unable to do this. 2) As the task got harder, good sleepers experienced reduced activity in parts of the brain normally active when the mind is wandering. Insomniacs did not. No wonder it can feel like we struggle to do mental tasks that normal sleepers accomplish without great effort. We really are struggling, and struggle leads to exhaustion. Who among us has not complained about that? The good news is that when scientists can identify measurable deficits in the brain as Drummond and Walker have, these deficits can then become targets of treatment. Insomnia treatments shouldn’t only put us to sleep. They should also help to wake us up. Does your sleep problem make it harder to commit things to memory? This study shows how challenging it can be to focus on anything when short on sleep. 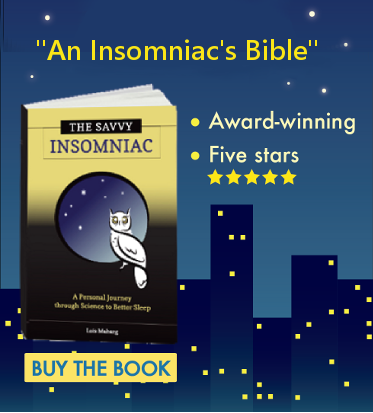 It illustrates how it can be overwhelming to bombard an insomniac with lots of sleep hygiene rules and behavioral strategies. Their sleepy brain may not be able to process it all. I try to be mindful of this challenge to my patients and implement behavioral strategies accordingly. Sounds like you’re pretty tuned in to the insomnia experience!